Part Two of “Introduction to Cognitive Behavioral Therapy” is being offered this week through PAHA. 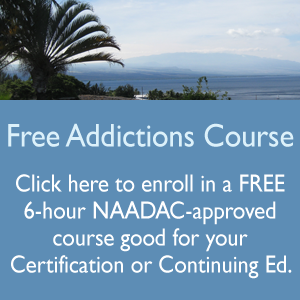 This is Part 2 of a 12-hour course that is available at our on-line training center anytime at http://substanceabusecounselortraining.com which covers the topic of Introduction to Cognitive Behavioral Therapy with a specific substance abuse focus for Nurses, Counselors, and other Health Professionals. This part of the course is focused on Cognitive-Behavioral Therapy for Substance Use Disorders, Anxiety, and Depression.